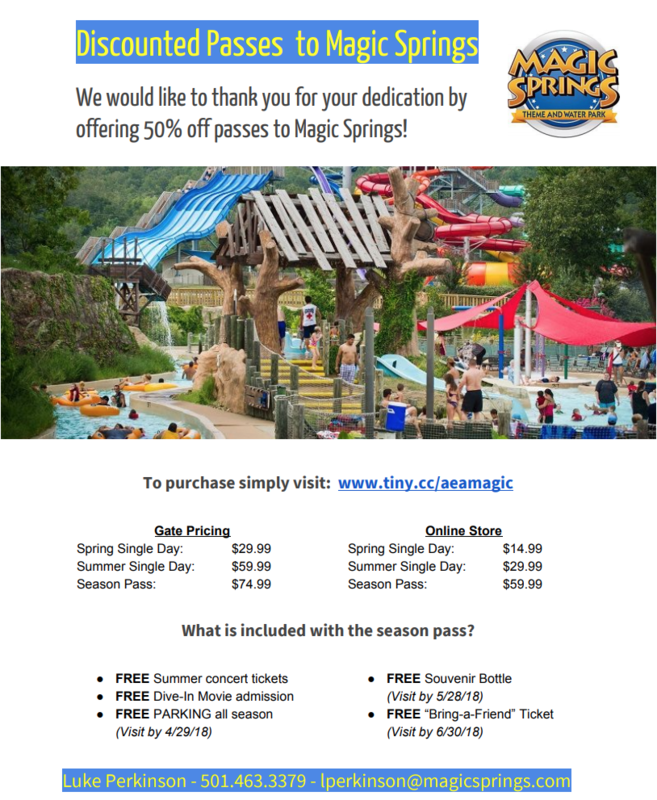 AEA is excited to announce a new opportunity for members to save through a partnership with Magic Springs! AEA Members can now receive 50% off the daily admission rate to the Hot Springs water park, as well as discounted season passes. You can check out the park at this website, but be sure to buy your tickets at this link to access the discounted rates.